Oakland’s beloved Rockridge neighborhood will welcome thousands from all over the region to shop, dine, and explore at the 12th Rockridge Out & About festival. Join Cole Hardware at the festival along vivacious College Avenue and visit our Kid’s Korner, where children are welcome to get creative with a hands-on craft project. Parents can purchase and enjoy a seasonal brew and keep our Cole Hardware signature pint beer glass. 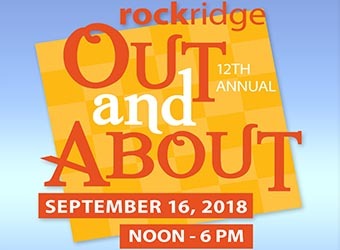 Mark your calendar now for a fun-filled day celebrating all that makes Rockridge a great place to live, work, shop, and play! The free, family-friendly festivities run along a strollable 12-block stretch of College Avenue.